More sales & new customers! What do you need to achieve that growth? More sales & new customers! But how do you get them? Well you need an on-going source of Lead Generation -but isn’t that difficult and expensive? Well often yes… but it needn’t be! Get Big Agency experience & results without Big Agency costs…or egos! You typically expect skill, experience & proven results history to come with a big agency, in a big flash office, with staff in expensive attire driving expensive cars! Well be prepared to be surprised by me (Ian) & Chris – We won’t fit the stereotype you’ll find (but more about that in the near future). The Barriers to growing your Business? One of the big barriers to growing an SME Business is time, and the close second is usually Budget. In looking to employ and bring in the calibre, experience and skills of people to assist, you hit both barriers head on fast! Recruitment Costs, Salary, NI, Pension Costs, Car & IT procurement, and then they want holidays! You’ll soon be committing to tens of thousands of pounds of expenditure and you haven’t even brought in a single new customer or a sale yet. Experienced Quality Assistance to grow without Risk! Digital Associate (the trading umbrella ahead for such business) is the joining together of two experienced (about 53 years of selling, marketing & advertising experience) business people with a proven record of sales, lead generation and business development success that can help your business grow. And to start you on that growth path, and prove their belief and commitment to you that they’ll help you succeed they’ll set you off at the grand cost of… Nothing! (you read it right). NB. We have to want your business – it’s a 2 way street! So, where’s the catch? There isn’t one to you, although in truth we take a calculated risk that you’re a genuine straight forward business but we haven’t found one that isn’t yet.We will set you up for FREE for a first month of Pay Per Click (PPC) advertising (the fastest instant source of lead generation) and likewise we’ll set you up for FREE with a Direct Mailing campaign to your target audience. NB. Now for the purposes of clarity & transparency the above doesn’t include (1) Google Spend – you pay this direct as required (2) Database Building if required, if you don’t have an existing target database we can get you one built at typically 25p per prospect customer (but once built the list is yours to keep thereafter). What do we do? Well firstly we quickly get to understand your Business – what you do, the products/services you sell, your competitors, the geography & markets you cover and all that distinguishes your business from its competitors. As importantly we establish where you want to get to (grow new markets, increase share in existing ones or both, expand your geographical reach, re-position or strengthen your brand, profile, customer perception etc.). And then, and only then, we look at what best suits your needs, so we don’t prescribe the solutions until we understand the objectives. So, whether you use PPC, Direct Marketing, Facebook, LinkedIn or other Social Media, Telemarketing, doesn’t concern us, or as importantly doesn’t steer us to a personal motive or agenda, success and results are what matter, not the route or method to achieve them. 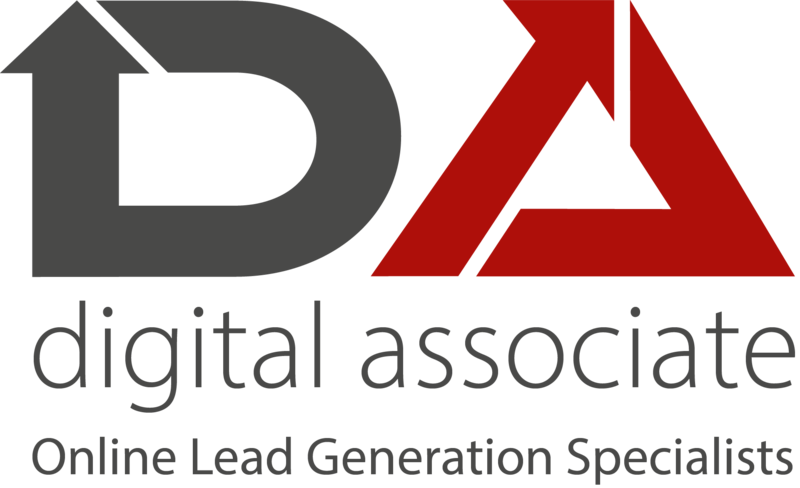 We will set up the lead generation model that best suits your needs, and then we instigate it, monitor & manage it, and make sure it is fine tuned to achieve you the highest number of qualified prospect leads for the lowest capital outlay. Then, if required, we can help you on your sales promotion materials (website, e-commerce, literature [digital or printed], sales aids etc.) and your sales processes (data capture, CRM systems, follow up procedures etc.) and nothing is done without prior agreement on objectives & budgets. The Main Tools in the Toolbox to Assist You Direct E Mail Marketing – Sometimes the best way to engage with a prospective customer is to proactively engage with them, and it’s the most direct and personal when done correctly. Use of good headlines, concise content giving them benefits to your offer, and using the pain (avoid) & gain (give) method when they ask about your approach “What’s in it for me?”. Good for your company’s brand building & particularly proven for promoting service businesses we can make your business stand out from the crowd. Pay Per Click (PPC) – Often the fastest way to engage with a prospective customer exactly when they are actively looking for your products or services and with the ability to be turned on & off to suit your circumstances, PPC is very effective, but a note of caution – Google doesn’t earn over £7 Billion of PPC revenue per annum in the UK by being generous! Good Campaign research, management & market/competitor evaluation will pay for itself quickly and prevent budgets running away fast. Well targeted copy content & use of well-crafted Landing Pages needs an experienced steer also! Search Engine Optimisation (SEO) – Usually the most misunderstood skillset, and the one open to the most ‘spin’ ask us what it entails now & 12 months later and the content will have altered! On-Site Optimisation for your Website is straight forward but Offsite optimisation needs to keep abreast of Google’s ever changing requirements, and as importantly somebody to give you the facts, not the embellished fiction, with clear objectives and realistic timescales. Social Media (Facebook/LinkedIn etc.) – Sometimes these can bring some of the lowest cost leads of the highest quality but a ‘one size fits all’ policy doesn’t work very often. Our principal partners have different backgrounds & strengths so Ian will teach and/or handle all you need on LinkedIn, whereas Chris is the man for the challenge of Facebook! What both will happily tell you (and many don’t) is when it’s not suited, and neither are afraid to suggest a change of course if early tests don’t generate the right returns in this evolving market. Website Development – Most businesses are now entering 2nd, 3rd, even 4th generation websites as the market, and technology options, mature. What was ‘hip & cool’ a decade ago probably isn’t now, and if a new website or website refresh is required we’ll happily undertake it for you, but equally if your starting website is good we will not seek to redo it-we’re after your long-term partnership by results, not to maximise your short-term expenditure with us. Telephone Follow Up & Marketing – ‘People buy people’-it may be a cliché but it’s 100% factual. We use several expert but friendly people to follow up prospects (or pre-qualify & data cleanse before outbound activity) and create a professional but personable first spoken impression to your business-and they’re not in a vehicle driving on the M6, nor walking into a building with intermittent signal reception, so it will be clear, concise & recorded for follow up activity! And the big question you’re thinking to yourself… How much will this cost? Remember the earlier observation ‘Big Agency experience & results without Big Agency costs…or egos!’ Well for most SME Businesses we’ll cost far less than a full-time employee with no experience earning the ‘minimum national wage’, and we have ‘entry level’ packages that start at a few hundred pounds per month – we’re not after your wallet, we’re after your heart & mind… by results! And we don’t want ‘prima donnas’, ‘Johnny come lately’ types, or anybody out to grow their business by any other means than by doing so by being the best at what they do! We believe that most SME Businesses will be attracted by mutual hard work, open and achievable objectives and fair remuneration, and that’s why we’ll prove ourselves for FREE in Month 1. PrevPrevious3M’s and the ‘MAN’ – Important Basics for marketing your business.